But has anyone else noticed how racy the click through ads are? maybe it it just my algorithm or something but they are a lot better than miss Twin Peaks 1990! Pardon my ignorance, which click through ads are you referring to? 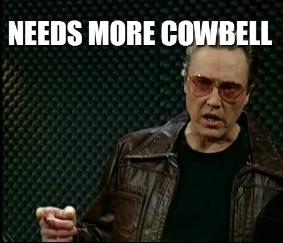 That might be just enough cowbell. Are you gonna share this ad blocker? Would you mind sharing a screenshot of these ads? The ads are definitely not supposed to be racy. Built into me browser, Brandy. Fire and forget.